I was Sri Lanka’s Ambassador/Permanent Representative to the UN in Geneva at the time. “Blocked Sunila’s representation”: where and in what capacity? What “representation”? Sanjana does not specify. Having initiated the practice of inviting NGOs and INGOs to open debate with the Sri Lankan delegation (as noted by Wiki-leaked cables of the US Mission in Geneva), invited the Amnesty International representative to chair one such event, and hosted the CPA’s Dr Saravanamuttu and even the GTF’s Fr Emmanuel as participants, I had no reason whatsoever to block anyone’s “representation”. Indeed I solicited and welcomed it. Sunila was certainly not blocked, nor could be, by anyone, in her presence at the UN Human Rights Council. I last met her there at an event on the sidelines of the UN HRC when she greeted the Human Rights Minister Mahinda Samarasinghe with a warm hug and took her place around the table as a member of the audience with every right to participate in the discussion. I was at the head of the table and was a speaker, as our Permanent Mission had organised the meeting. If I rightly recall, Harvard educated legal researcher Gehan Gunatilleke was present and raised critical questions as did Peter Splinter of Amnesty International. Sunila remained silent throughout. Young Mr Gunatilleke might attest to the veracity of my recollection. There was however an episode relating to Sunila, during my term as Ambassador/PR. It had to do with an application, not ‘representation’. I had been nominated to a body consisting of a select group of Ambassadors, which deliberated on applications/nominations for posts relating to Special Procedures, that is posts of Special Rapporteurs and Special Representatives, on various core themes. Our committee, which met in the same building on Avenue Woodrow Wilson that housed the offices of the UN High Commissioner for Human Rights, would assess the bio data that accompanied the names of applicants and arrive at a consensus. 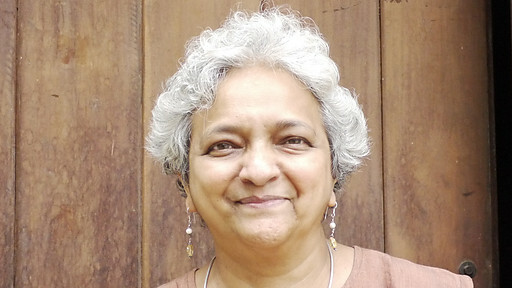 Sunila had applied or been nominated by an NGO for one such post. Almost, if not all, such posts are filled by acknowledged experts in the field; experts who bear solid academic credentials in the subject concerned. For example, the UN Special Rapporteur for the Occupied Palestinian Territories, Richard Falk, whom I have the honour to have as a friend, is Professor Emeritus of International Law at Princeton. I recall my own support of a nominee, a Turkish-American professor of law, for the post of Special Rapporteur on the right to water, but she was beaten to the post by a nominee of the Spanish ambassador, a member of our committee. The records of that Committee would show that when Sunila’s application came up, I suggested instead Prof Savithri Gunasekara or Dr Deepika Udagama, more suitably credentialed personalities whose independence and outspokenness were no less than those of Sunila. I had in fact conveyed these counter-suggestions through my staff to the quarters which had supported her application or nominated her (I can’t recall which), as names I could credibly and unconditionally support as Sri Lanka’s Permanent Representative. I must also add that as representative of the Sri Lankan state, especially in wartime, I could not --and would not of my own volition-- support the candidacy of any applicant or nominee whose position on the public record was considerably and conspicuously far more critical of the democratically elected government of Sri Lanka, the democratic Sri Lankan state and the Sri Lankan armed forces, than of the fascist terrorist Tigers. That was my position then. My sentiments and sadness at Sunila’s death notwithstanding (her parents and mine were friends before we were born) I still consider it valid and correct.